Many people get frustrated with meditation or simply have no idea where to start. Meditation is meant to be enjoyable, relaxing and a powerful tool for our health. I have put together a morning of movement and stillness, noise and silence, laughter and peace so that I can pass on this hugely rewarding practice. No previous experience of yoga is necessary – just a mat and blanket. So what exactly is meditation? Emptying your mind like emptying your kitchen bin??? Well it can have that effect – but in a more gentle manner – we are trying to sooth the mind and reduce the ‘background’ noise. Meditation gives our mind something to focus on, so it has an anchor to hold onto. Anchors may include saying a mantra, looking at an object, watching the breath or simple movements. An anchor also helps us be fully present and live in the moment – trying to stop thoughts of the past and future. Holding onto these anchors helps quiet our minds and then we can get a glimpse of how the mind is working. We can then get to see our worries, our obsessions and the busyness of the mind just like clouds floating in the sky. Potentially, we can choose to let these things go as we put some perspective onto the thoughts and see them as just that – thoughts. In a sense we develop our own method of managing our thoughts. 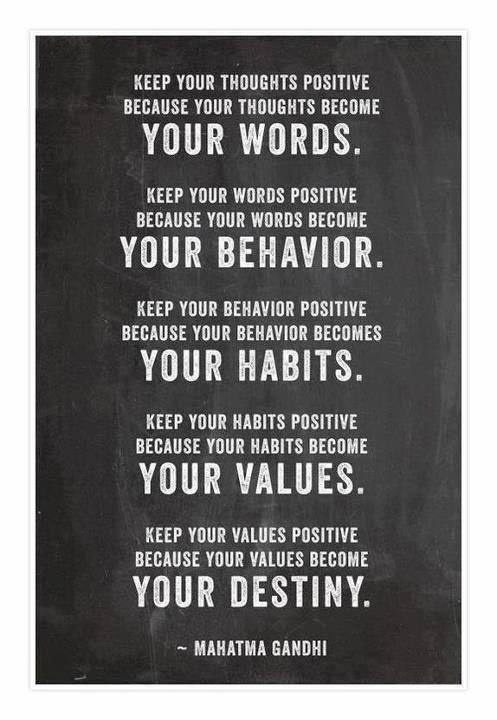 Instead of our thoughts controlling us we get some control over them! Some people see meditation like sitting at the shore of the ocean of your mind and just watching the waves come and go. We’re not pushing our thoughts away, or judging them but simply watching these thoughts as we’d watch the waves while sitting on the beach. 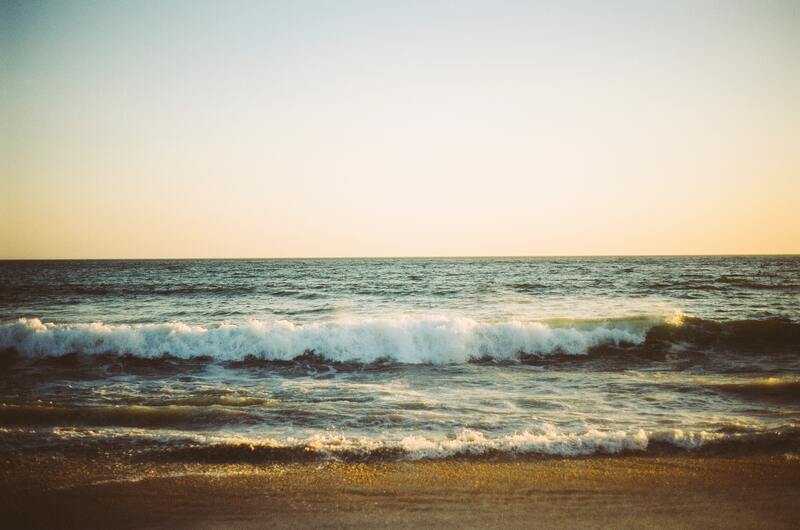 And whilst on the beach watching each wave there’s also a sense of connection to something bigger, something that helps you put some perspective onto the thoughts. On this MEDITATION FOR BEGINNERS workshop you will take a light hearted tour around the important aspects of meditation and explore several different methods. It is experiential (you will do things) as well as being a little theoretical, giving you some background information which will hopefully inspire and fire you up to make time for meditation in your life. Please book your place in class or email me via the Contact Us page. Live each moment as a moment of pure joy! There, there is your meditation hall. Nowhere is more holy than this. Right here is the sacred pilgrimage. As if it were your one meeting with the Creator. Why not print off this lovely ‘mandala’ and colour it in for someone special this Valentines’ day? A mandala (meaning circle) is a spiritual motif. Without beginning and end, just as the universe is believed to have no end, the circle symbolises the universe. It’s seen as a representation of the inner and outer world. The Sanskrit word mandala indicates everything that is round or circular. In tantric traditions, it often refers to a sacred space, which can be round or square or any other form. The model of the mandala is a square with four gates containing a circle with a central point. Often the mandala is also in an outer circle. This basic form can be found in many ancient mandalas, but there are many more variants. The mandala can be filled with all kinds of patterns. In the recent trend of colouring as a form of relaxation, one of the most popular types of patterns to colour is the mandala. Many people find coloring a mandala a form of meditation. As they focus on colouring in the patterns of the form, they relax, their mind grows quiet. The mandala can also be used as an object to focus your attention on while meditating. Because of the symmetrical shape, your attention is directed to the centre. Children: Because the mandala isn’t a literal representation of reality, children can fully enjoy their creativity. They don’t have to worry about choosing the right colour green for the trees or what colour blue the sky should be. The mandala can have all the colors of the rainbow. Or just their favourite colour. Colouring a mandala is an excellent way to end a busy class and help children unwind. Adults: Everyone has had those days when your head overflows and your thoughts just seem to keep running in circles. Colouring a mandala for an hour may help you calm down. By focusing only on the pattern and colours, your mind may become wonderfully empty. You come to rest for a little while. 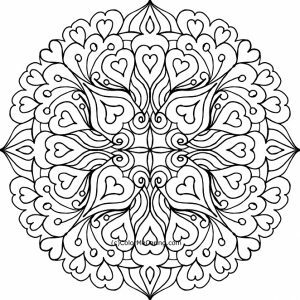 Elderly: For the elderly, colouring mandalas may help you keep your memory in shape. The repetitive nature of many mandalas allows you to create beautiful symmetrical patterns, but you must concentrate to ensure that your colours are symmetrical (if that is, indeed, your goal). Remaining focused on a creative endeavour of this sort may keep your mind sharp. Finally, you may not think at first glance that colouring mandalas is something that can be done in a group, but it’s a great activity to do with friends or relatives. Make a photocopy of a mandala that everyone can work on at once and go to town. Or give everyone their own copy of the same mandala and see how people come up with different colours and patterns for the same design. There is no end to creativity when it comes to madalas. If you would like to learn more about Thich Nhat Hanh and his methods of meditation and mindfulness, there will be a screening of a film about his village on Thursday 1st February at the Arts Centre, Stamford. If you are interested in something it’s always worthwhile to find out about it from a variety of sources – our brains seem to like to connect a bit of reading, a bit of chatting and a bit of doing together and this makes ideas ‘stick’ firmer into our minds. 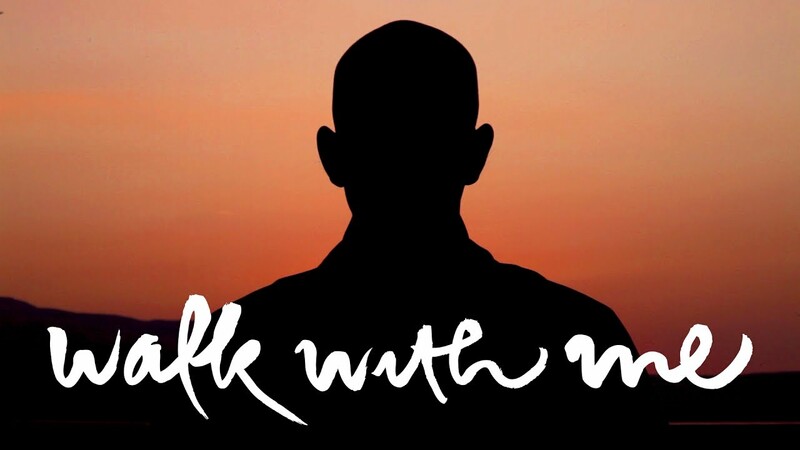 With unprecedented access, WALK WITH ME goes deep inside a Zen Buddhist community who have given up all their possessions and signed up to a life of chastity for one common purpose – to transform their suffering, and practice the art of mindfulness with the world-famous teacher Thich Nhat Hanh. Filmed over three years, in their monastery in rural France and on the road in the USA, this visceral film is a meditation on a community grappling with existential questions and the everyday routine of monastic life. As the seasons come and go, the monastics’ pursuit for a deeper connection to themselves and the world around them is amplified by insights from Thich Nhat Hanh’s early journals, narrated by Benedict Cumberbatch. 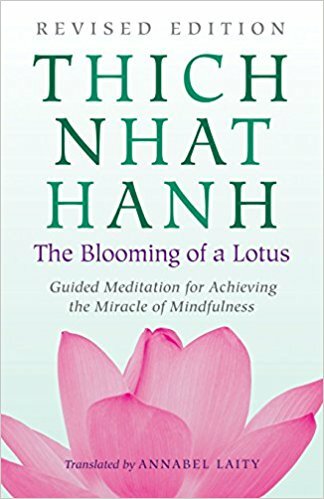 In the yoga classes this term we are working with the Thich Nhat Hanh book “The Blooming of a Lotus”. This book guides us through simple techniques of meditation to help focus on the ‘now’. If you want to get your own copy, we are starting at the very beginning and working through the first and second exercises from chapter 1. Permeating the space of your heart. Learns to hear the song of creation. Eventually as the buzz of a bee. Like the song of the stars as they shine. 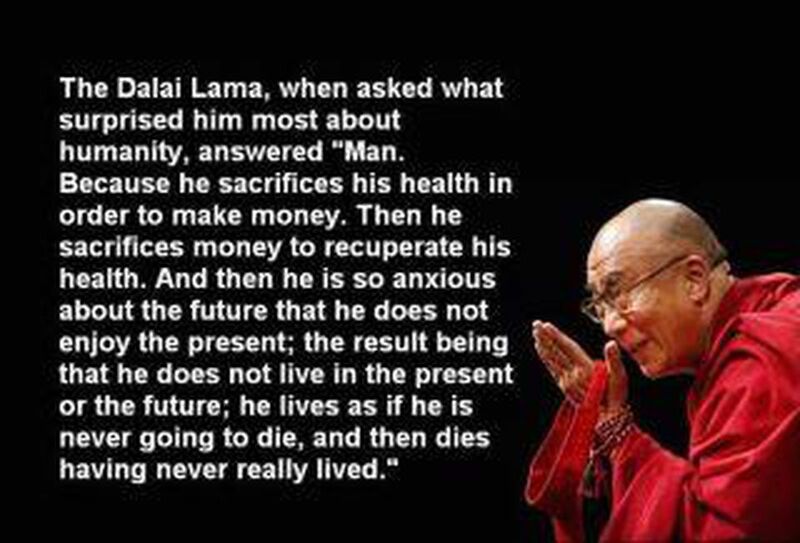 This is one of the verses I have used at the beginning of the yoga class this term. 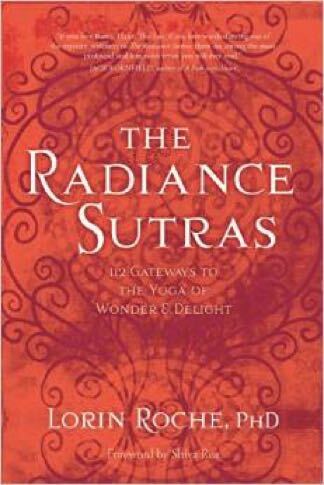 The Radance Sutras are a volume of verses set out in a conversation – a seeker asking a knower the way to find peace. It is a compendium filled with practices to integrate into everyday life – just thoughts really to help weave stillness and meditative qualities into the fabric of your life. If you have enjoyed the readings why not get your own copy? Creating your own personal yoga practice is often considered only to be rolling the mat out and physically exercising… it can be laying in Shavasana and doing a breathing practice, reading a verse from a book – or, in the case of these sutras, you could take just one verse and recite it or do the suggested practice for a week or two. Variety is the spice of life and you can make your personal practice of yoga whatever you want! Why not steal five or ten minutes over the summer to simply sit and read a poem? my heart with tender care. will never feel no ill.
you fill my soul with sunshine each and every day. The forms that once have been. But seen on either side. O gentlest of my friends! A shadow, thou didst pass. Did walk with me that day. On that sweet Sabbath morn. By Jacob in his dream. That on the window lay. And still I thought of thee. Shines on a distant field. You carry a whole world with you. A planet rests upon your shoulders. You may not see it, but I do. There is a Universe Within that you carry wherever you go. Ecosystems of passion and romance. Warring nations of worry and fear. A billion living ideas, stories and experiences that make up a whole history named You. Wherever you go, I promise to be your sun. It’s not that your life revolves around me. and shine nothing but kindness and light upon you. 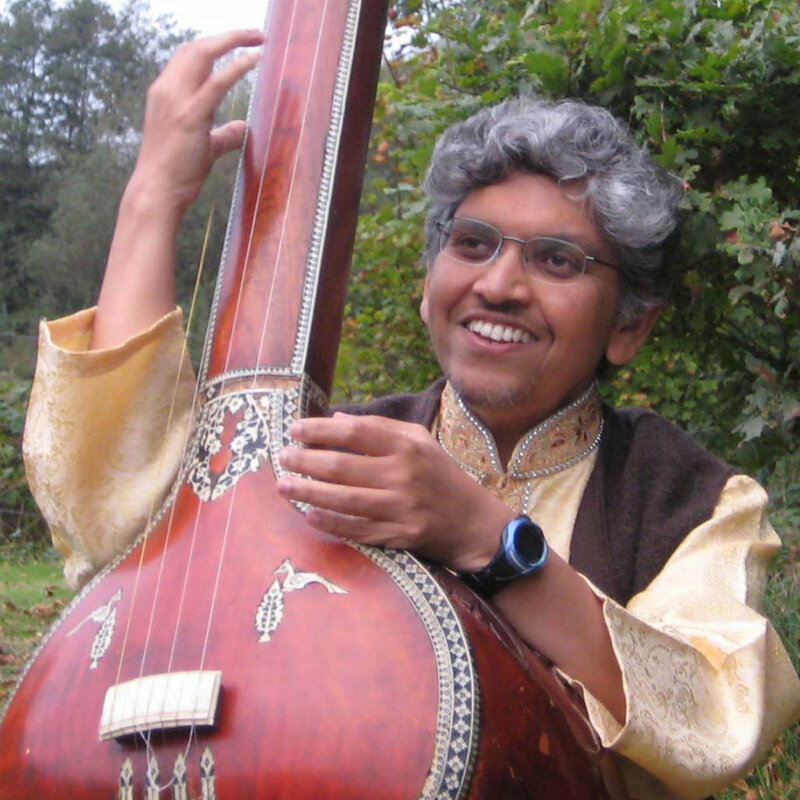 We have been listening to the wonderful music and chanting of artist Rajesh David at the beginning of our sessions this term. The CD (titled ‘Mantram’) is available from his website here and contains several mantras set to haunting melodies which are ideal for relaxation and meditation. All of the tunes are famous mantra chants. The one of particular interest to us has been the Gayatri which we have listened to a variety of versions this year. Be yourself, and do not try to be like anyone else. It takes all sorts to make a world. I do not want you all alike, like peas in a pod. I need you all different, each doing your specific job and playing your specific part, blending in perfectly with the whole. It does not mean that there need be any disharmony or discord because you are all different. There are many different musical instruments in a full orchestra, and each has its rightful place in the whole and blends in perfectly when working in harmony with the whole. It is when individual souls go off on their own tangents with no thought or consideration for the whole that discord and chaos are created. When your heart is in the right place and you are living and working together for the good of the whole, only the very best will come forth. Therefore cease struggling and let go. All you have to do is to be, and let everything unfold. Pushan mudra is a symbolic gesture designed to fill you with energy to give and receive joy. With the right hand bring the tips of the index and middle fingers to touch the tip of the thumb. With the left hand bring the tips of your middle and ring fingers to touch the tip of the thumb. Stretch out the fingers that don’t touch the thumbs. Hold for 5 minutes twice a day – or as and when required. This mudra is for accepting as well as giving – you will feel the energy in the hands, it is quite a work out for your fingers. 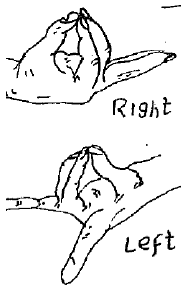 Benefits of this mudra include aiding digestion, can help with nausea and seasickness. The term Pushan means to prosper, to grow and to thrive. Enjoy working with this mudra!